Just over half of the students in public schools in the U.S. qualify for free and reduced lunch, according to a January New York Times article. For many of these students, that may be the only meal they receive all day. In the 2013-2014 school year, more than 300,000 students in the state of Oklahoma received a free or reduced lunch daily, according to the Food Research and Action Center. One program that has been making an effort to combat child hunger is the YMCA of Greater Oklahoma City. The center has a summer food program available to anyone from the ages of 5 to 18, according to their website. Candice Hillenbrand, associate director of Financial Development there, said, since 2012, more than 200,000 meals have been served. Since starting the program in 2012, Hillenbrand said, they have more than doubled their sites. She said the YMCA has partnered with the Regional Food Bank of Oklahoma for this event. —Bethany YMCA: 3400 N Mueller Avenue, Bethany, 405-789-0231. —Downtown YMCA: 1 NW 4th Street, Oklahoma City, 405-297-7700. —Gethsemane Lutheran School: 8811 W Wilshire Blvd., Oklahoma City, 405-721-1167. —North Side YMCA: 10000 N Pennsylvania Avenue, Oklahoma City, 405-751-6363. —Rankin YMCA: 1220 S Rankin Street, Edmond, 405-348-9622. —Rockwell Plaza YMCA: 8300 Glade Avenue, Oklahoma City, 405-621-5858. —Shartel Church of God: 11600 S Western, Oklahoma City, 405-691-1216. —Sunset Elementary: 400 W 8th St., Edmond, 405-340-2990. —Village United Methodist Church: 2501 W Britton Rd., The Village, 405-751-8116. For more information on locations and times, visit http://ymcaokc.org/foodprogram/summer-site-locations. Feed the Children, located at 3333 N Meridian Ave. in Oklahoma City, also offers a summer meal program, said Domestic Programming Manager Clint McKnight. McKnight said, last year, Feed the Children’s summer food service program helped serve almost 9,000 on-site meals and almost 200,000 take-home meals. “We had only 11 sites in 2014, and this year we already have 55,” he said. According to their blog, they single-handedly increased the number of kids fed in the state of Oklahoma by 30 percent. McKnight said they feed all ages. “We know people come with their families and we’re ready to feed them as well,” he said. In addition, McKnight said, they also provide free books for children. 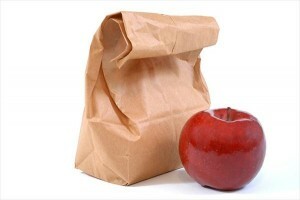 Moore Public Schools also is offering free lunches at various locations Monday through Friday, from July 6 through 24. Dubbed Summer Food Fest 2015, the district is entering its eighth year for offering the program. Breakfast is served from 8:30 a.m. to 9:45 a.m. Lunch is served from 10:45 a.m. to 1 p.m.
—Central Elementary School Cafeteria: 123 NW 2nd, Moore. —Winding Creek Elementary School Cafeteria: 1401 NE 12th St., Moore. —Kelley Elementary School Cafeteria: 1900 N Janeway, Moore. —Santa Fe Elementary School Cafeteria: 501 N Santa Fe, Moore. —Plaza Towers Elementary School Cafeteria: 852 SW 11th, Moore. —Kingsgate Elementary School Cafeteria: 1400 Kingsgate Road, Oklahoma City. For more information, call 735-4030 or e-mail pamhart@mooreschools.com. 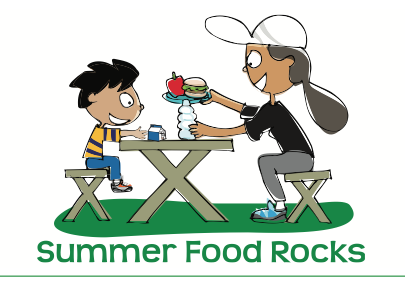 For a complete listing of programs offered in the state, the Oklahoma State Department of Education offers a Summer Food Sponsor Locator at https://cnp.sde.ok.gov/SponsorLocator/default.htm. Visitors can find a summer food program in their area by using an interactive map located at the website. “SFSP is the single largest Federal resource available for local sponsors who want to combine a feeding program with a summer activity program. “It was created to ensure that children in low-income areas could continue to receive nutritious meals during long school vacations, when they do not have access to school lunch or breakfast,” the site reads.